Fulham Deaf Football Club wish to announce that Christof Niklaus has retired from his role as Honorary President due to his other commitments. We like to express our sincere thanks to Christof Niklaus for everything he has done for Fulham Deaf Football Club. From setting up the club in 2003, acting as a Manager until 2007, including being temporary Chairman for a year, and Honorary President since 2008. 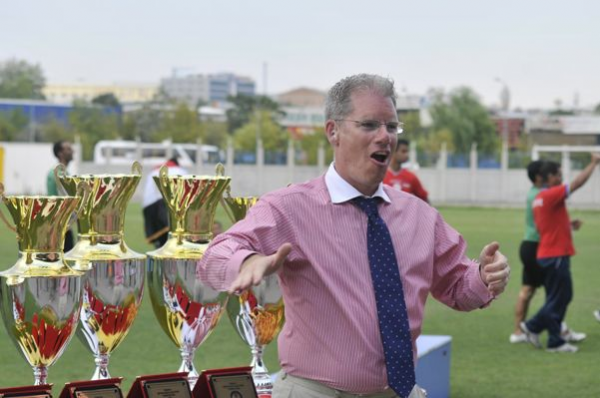 He has been a tremendous supporter of Fulham Deaf FC and Christof said he will continue to check on our results/progress and be available for advice and signposting to our club. We will be forever grateful for all the hard work he had put in for Fulham Deaf FC and will hold him in our hearts. We wish him all the best of luck in his next chapter.